The Crest Santora is a condo project developed by SC Asset Corporation Public Co., Ltd., Units range from 1 bedroom to 3 bedroom. 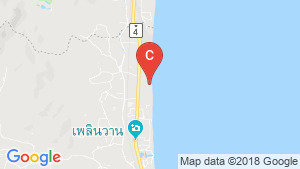 The Crest Santora at Hua Hin, Prachuap Khiri Khan has the following facilities: bbq area, cctv, fitness, garden, parking, playground, security and swimming pool. 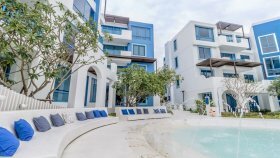 There are 2 condos for rent in The Crest Santora available from ฿45,000 to ฿75,000 per month (based on 1 year rental term). 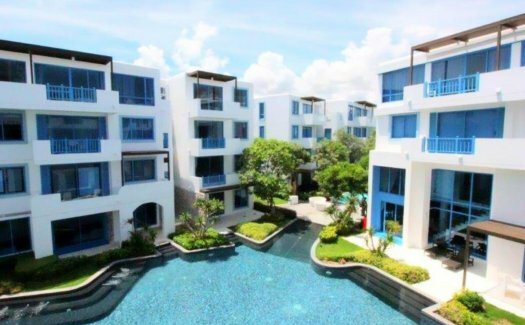 The Crest Santora Luxury Condo on the beach at Hua Hin, 2 bedrooms for Rent & Sale. 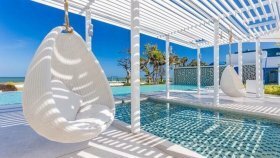 Luxury Condo on the beach at Hua Hin, 2 bedrooms for Rent & Sale. 3 bed villa for sale in Hua Hin Beach, Hua Hin with Sea View | Unit ID: HH002-002 | FazWaz. 2 bed villa for sale in Hua Hin Beach, Hua Hin with Sea View | Unit ID: HH002-001 | FazWaz. 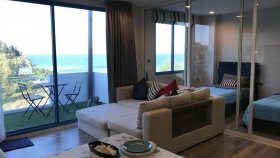 Condominium For Sale, The Crest Santora Hua Hin Hua Hin. 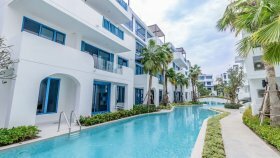 A brand new luxury beachfront condominium for sale..